Oliver Cool, he's one chilled guy. it's been a while since i have used my lili stamps. i needed some bloke cards for my stash. more male cards to follow over the next few post. i will be really sad at the end of this month when lili of the valley stop selling their rubber stamps (hopefully a temporary measure). 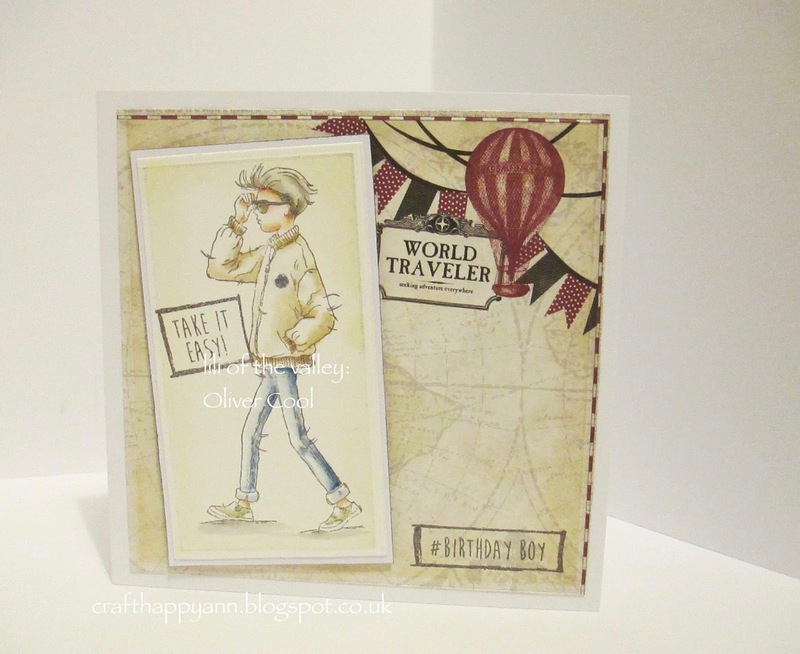 although i do have some digi stamps i do prefer rubber stamps. i have used all lotv stamps on this project: the image and sentiments (listed below) and again i have used my distress re-inkers to colour. my card has been kept very simple. links included on where to pick up supplies. A great card, I always struggle with masculine cards, but this one is great. Love the colours you have used.